The second last day of the One of a Kind Show is wrapping up, and I’ve had a blast! It’s been so affirming to see my journals going to their new homes and people’s eagerness to give them to the perfect recipient. Buying a good journal really is a lot like shoe shopping. When the right one is in your hands you just know it. 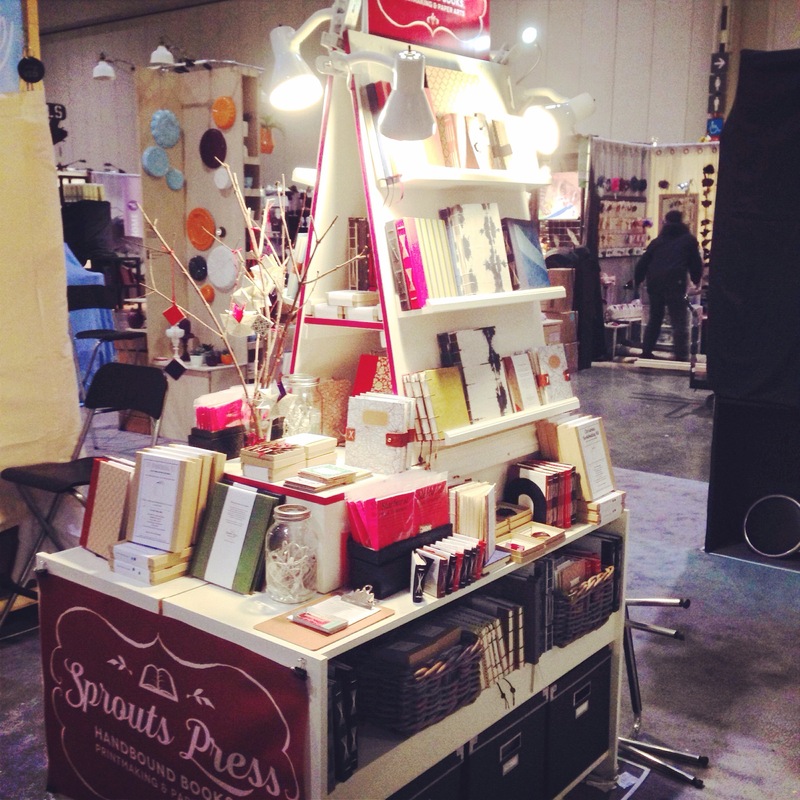 Sprouts Press is here for one last day of fun, come out and say Hi and find your perfect journal! This entry was posted in 365 Project, Book Binding, One of a Kind Show, Show by sproutspress. Bookmark the permalink.